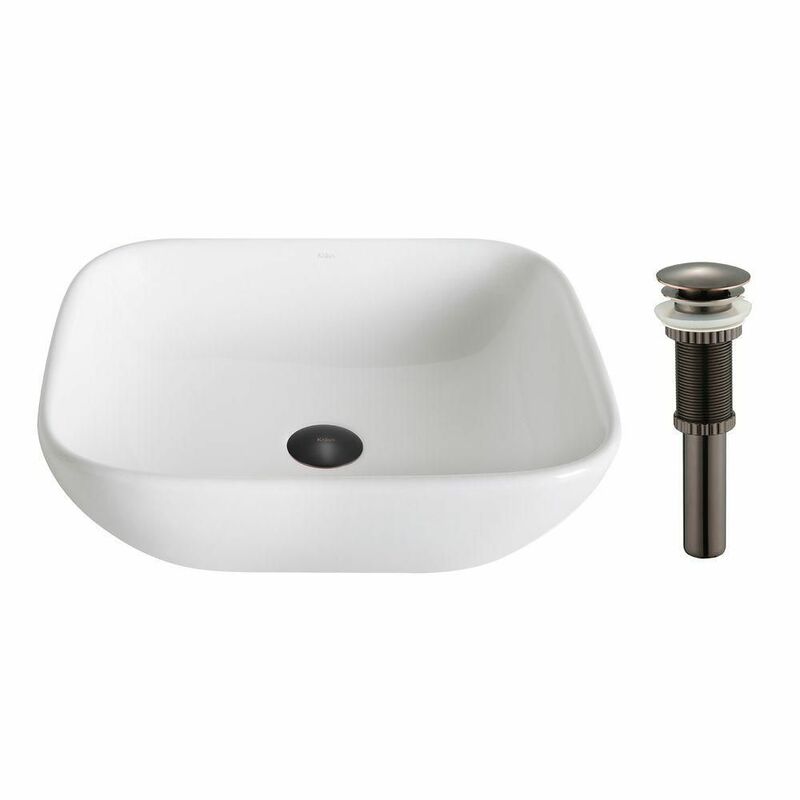 As stylish as it is durable, this sink by Kraus makes a terrific addition to any bathroom. Manufactured using high quality ceramic, it can withstand all kinds of everyday wear without losing its stylish appearance. Next time you take on a home renovation project, make sure to choose this top-notch sink. ElavoWhite 16.10-inch x 5.50-inch x 18.10-inch Square Ceramic Bathroom Sink with Drain in Bronze As stylish as it is durable, this sink by Kraus makes a terrific addition to any bathroom. Manufactured using high quality ceramic, it can withstand all kinds of everyday wear without losing its stylish appearance. Next time you take on a home renovation project, make sure to choose this top-notch sink. ElavoWhite 16.10-inch x 5.50-inch x 18.10-inch Square Ceramic Bathroom Sink with Drain in Bronze is rated 5.0 out of 5 by 1. Rated 5 out of 5 by Tucksmom from Looking good I am very happy with my sink and faucet from Kraus. They are a definite highlight to my new bathroom remodel.